How to rank higher and drive traffic to your website! SEO for Photographers is the essential process of helping search engines know you exist. With over 1 billion websites on the world wide web today understanding how to get your photography website ranked with effective Search Engine Optimisation (SEO) is more crucial than ever. With the photography industry growing fast, and competition for business high, none of us can afford not to do the necessary work to ensure that search engines will rank us as highly as possible within our speciality. So how do search engines actually optimise websites? Google has produced this useful diagram (searchInfographic) to try and explain how it approaches searching, ranking and delivering the most relevant online content. With Google using up to 200 ranking factors how can we make sure that we are focusing on the most important ones that relate to SEO for photographers? Sadly photography SEO tends to be quite technical and needs a methodical approach – this is not the most exciting photography skill you will learn this year. But it is certainly a critical business one. The essential starting point for SEO for photographers is keyword research – doing the work to find out the actual search terms that potential clients enter into search engines when looking for photography services. Although this sounds obvious it does involve thinking like a consumer and not a photographer! It might help to look at your existing organic traffic to identify the keywords people are using to arrive at your site already. You will need to establish the key generic areas that you would most like to promote –ie weddings and then try and create a list of keywords or phrases that your target audience might type. For example ‘natural wedding photographer Oxford’. Google can help with this because at the bottom of the results page they always offer some alternative search terms that people use – when I searched this phrase they offered up ‘cheap wedding photographers Oxford’ as another possibility (Ahem, there is a whole other topic which I shall cover next post – pricing…). Ideally you need to create a list of ‘head terms’, which are 1-3 words and are often highly competitive, and ‘long tail keywords’ which contain more than 3 words and often deliver more targeted traffic that is specific to what you offer. Next it helps to try and find out which keywords your competitors are successfully ranking for and also which they aren’t putting effort into. How do you do this? Get yourself on to www.semrush.com and be amazed at the information that you can find out about your domain, a competitor domain or any keyword they have in their database. Next get familiar with Google Adwords Keywords Planner and research your list to find out what search volume and traffic estimates you can expect. There are other DIY options or you can do what I do and pay someone to do this bit for you. We use FIVERR to find keyword researchers for a very small investment. Now you have your keywords you need to make sure that you actually add them to your website/blog – this is where the term ‘optimise’ comes in. On-page SEO is the work you do to make sure your website communicates effectively with search engines (who you are, what you do) and refers to both the content itself, as well as the HTML source code. Your efforts will be rewarded with improved organic traffic. If you already have a website you really need to do an SEO audit – there are plenty of useful resources online to help you with this or you can pay a professional to do it for you. Title tags are displayed on search engine results pages (SERPs) as the clickable headline for a given result, and are important for usability, SEO, and social sharing. Keep them below 65 characters and put your keyword upfront. Or meta descriptions. These also show in search results but are less useful for rankings than letting people know what to expect if they click on the link. These are used for ranking and are also important for potential customers who often scan content to check for its relevance – again use keywords but don’t overdo it because you could get penalised. This is obviously an important one for photography SEO! Image SEO begins with the right file name – it needs to tell Google what is in the image. This might sound obvious but I have had to get many of the businesses I have mentored to completely rename their gallery images from their camera default i.e: DSC_2039.JPG. The file name needs to be descriptive and keyword led – Google doesn’t share the file name on search results so don’t be concerned if they are very long. For example Oxford-wedding-photographer-bodleian-divinity-wedding-kate-hopewell-smith.jpg. Considering our content is bound to be image heavy should we always caption blog images? Not necessarily – think about the end user and whether it would actually be beneficial to them and don’t be repetitive just because you think you are ticking SEO boxes. Alt text or alt tags however are important because in the event of images not displaying properly it will ensure that no information is lost. Make sure that the alt text includes the keyword for that page or article and does actually describe the image or perhaps why or how you took it to add value? Now you understand the key factors it is time to introduce Yoast – – they exist to optimise websites and have created a very useful plug in for WordPress to make it easier for us to improve our websites for our visitors. Yoast have the opinion that photographers seem to hate SEO because it involves the kind of work that they don’t enjoy. In a warning to us they state that “It all comes down to this: if you want your photos to tell a story, please tell that story to Google in writing”. You also need to make sure that you have some ‘off page SEO’ which is basically what others think about your website by mentioning or linking to your content or brand. The more valuable links that point to your content the more valuable search engines believe your website or blog to be. 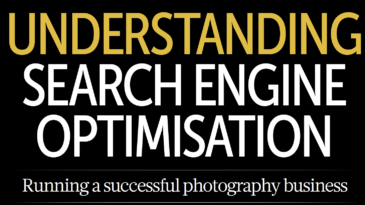 So – I have barely scratched the surface but I hope that you at least have a sense of why SEO for photographers matters and how to go about researching keywords and optimising your content. Finally you can then decide if you want to invest in some google keyword advertising. Next post let’s deal with another (un)popular subject – how to price your photography business. Over the last 12 months we have worked hard on our own SEO and seen huge changes in our Google ranking. We have learnt an enormous amount and are offering a half-day workshop that shows how to implement an SEO and Keyword Strategy with the addition of 2 keyword ranking reports – the first to show you where the problems lie and the second (6 weeks later) to show you how much your ranking will have improved and why. Find out more about our photography training website here.